The Hawk guys are at Camerimage introducing an eye-popping set of new spherical T1 prime lenses called Vantage One. T1! 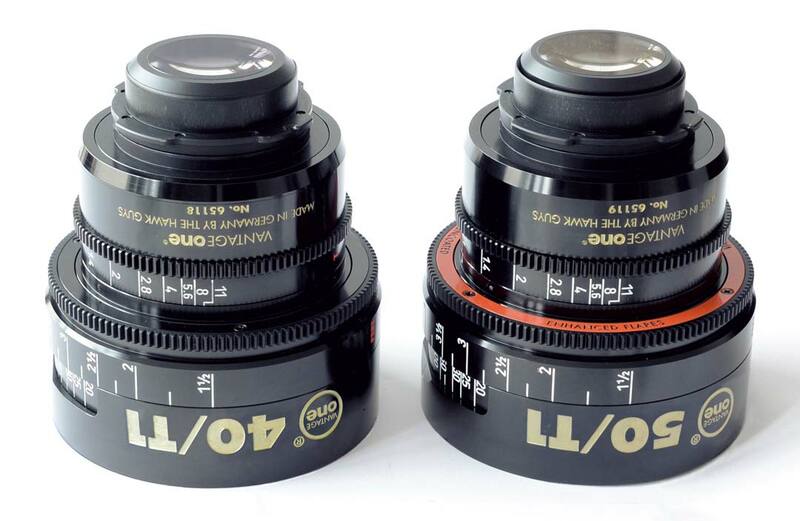 There are nine Vantage One lenses in the set: 17.5, 21, 25, 32, 40, 50, 65, 90 and 120 mm, all T1, and all close-focusing. Managing Directors Peter Märtin and Wolfgang Bäumler, optical engineer Anatoly B. Agourok, and the team at Vantage took a fresh look at lens design today. What could they build for the new generation of digital cameras that have higher sensitivity than ever before, and provide cinematographers with a totally different look? At T stops from T2 to T11, Vantage One lenses provide a look similar to most modern lenses, with total image illumination (no shading or fall-off at the edges.) At T1.4, the look is “more forgiving,” but still extremely good. Wide open, at T1, Vantage One lenses open up a new world of extremely shallow depth of field, with a beautiful, subtle, silky creaminess, great for skin tones. The bokehs have an interesting kind of donut or bubble effect. Maybe a good way to describe the look is to remember the original Leica Noctilux 50 mm T1 still lens circa 1976. These observations come from looking at, through, and with a prototype during Cinec, with an ironclad promise not to discuss until today. 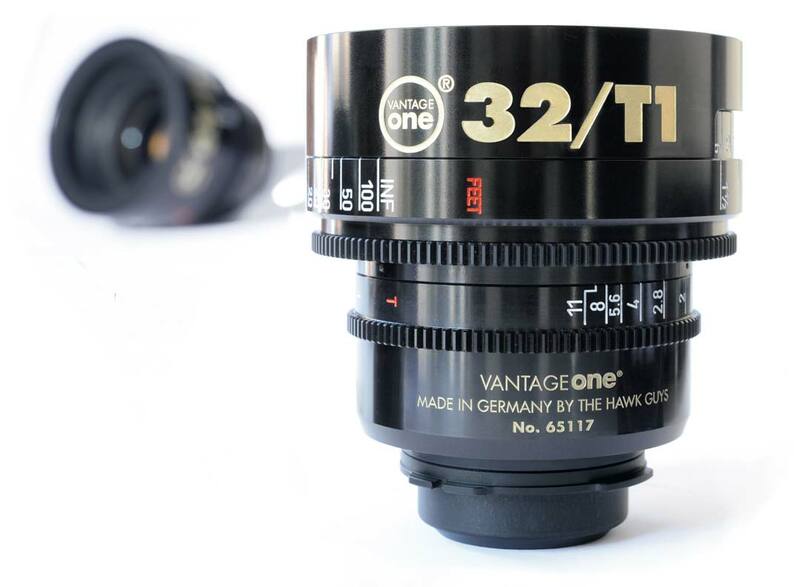 The Vantage One T1.o lenses are among the smallest cine lenses out there. They are lightweight, close-focusing and have familiar Vantage mechanics, witness marks on the same plane as the scales for parallax-free setting, and durable construction. The Vantage One lenses are almost telecentric. There’s a long distance from the rear element to the sensor, so light rays are almost parallel. This results in less color fringing and even illumination to the corners of the frame: 100% at T2, and 85% illumination at T1. Very cool. Sounds niche. With new cameras so sensitive, I feel like night interiors using these lenses are going to have nd1.2’s in the mb! Or NDs behind the lens–see Clairmont Alexa behind lens ND, Sony F5, 55 and F65 behind lens NDs, etc. However: dim NY restaurant, night interior: measuring 3200 ISO, 24 fps (1/48 sec), T1.0. Actually, these Vantage One lenses are also about the wonders of super-shallow depth of field — not just being Nighthawks. Ok I know I’m off topic here, but why it’s seen as an advantage not having to do lighting? Not doing lighting is a missed opportunity to create your own style. I warned you I was off topic…If you explain to a producer that doing your own lighting instead of shooting available, it’s convenient for him, he will understand and will be grateful to you at the end of the day. Walter–Not off topic at all–very important. Available light: just because the light is “available” does’t mean it’s artistic. Even INTERIOR–DIM NY RESTAURANT–NIGHT at 3200 ISO needs proper lighting. And here’s an opportunity for a whole new generation of Low Light Lights. People have speculated about the lack of need for fast lenses since the late 80s… Since then Cooke, Zeiss, Leica and now vantage have brought out super fast primes. Love to know approx pricing.. I enjoy the vicious combination of a lens advertised to have close focus abilities and a T/1 maximum aperture. How useful is CF wide open? Useful when closed down but kicking a dead horse when wide open, if you ask me. As a friend pointed out to me earlier, at a certain distance, T1 really has ‘nothing in focus’, regarding usefulness. When you get to fractions of an inch, things get hairy real quick. I made this post much shorter than I originally had it, but think of it this way… the 120mm lens (at T1 on S35mm 16:9 extract) does not have DoF over an inch until you are 9′ feet+ away. At 4′ feet from subject, the lens has less than 1/5th of an inch of DoF. My calculator (Panavision) won’t even allow me to plug in the CF value of 2.5′ feet. Close focus and a wide maximum aperture are wonderful things on their own, but seldom useful together. It’s a fast ticket to sliver-ville. Price as a set or individually please. Also, any still shots through the lens? Any Idea on when these lenses will be avail and how much? What kind of mount options with these beauties possess? Hi Jon- any idea how to reserve a set?? Are these going to be rental only lenses? Which modern digital cameras have sensors that actually gain 1 full stop of light at each wider setting past 2.8? Or what is the light intake falloff on modern (non film) cine cameras? Someone with solid testing equipment should make a chart with this info. And this question is only about the taking in of light and not about the look of shallow depth of field. 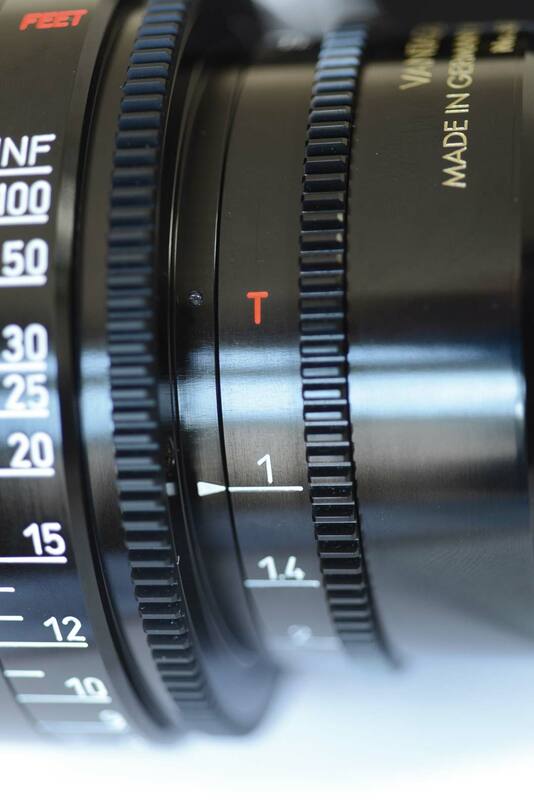 A friend recently AC’ed a commercial shot with these lense … all wide open on a Movi. Exceedingly challenging to say the least! Still trying to get a link to the finished product.